According to a global study, the cost of data breaches in healthcare was 2.5 times higher than the global average when compared to other industries, in 2017. Last year, there was a nationwide crackdown in the US on healthcare fraud, in which fraudulent transactions worth $1.3 billion were made. These facts have brought the entire world face to face with the glaring need of a secure healthcare infrastructure. While the healthcare industry has made advancements in areas pertaining to research, diagnosis and even efficient cure, it is at the back seat when it comes to creating a secure, unified healthcare system. Prevalent conventional Data collection, lack of a secured infrastructure which can allow fast interoperability of transactions between various data points. Accessibility to PHI (protected health information) sets limit progress in research. Data privacy and Data security. In this ebook, we have outlined how Blockchain Technology can help in mitigating the abovementioned challenges and the applications of Blockchain in healthcare. – Challenges faced by the healthcare sector. 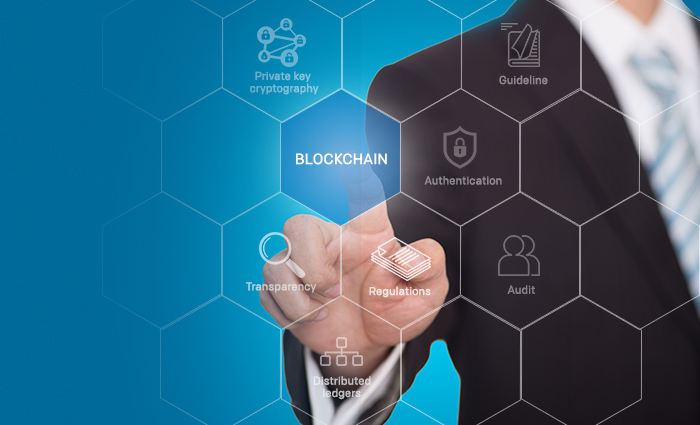 – Key aspects of the Blockchain Technology. – Applications of Blockchain Technology in healthcare. We hope healthcare professionals will find this ebook a useful in their efforts to implement digital technologies to improve the processes of their enterprises.